In large skillet, pour enough vegetable oil to layer the bottom of the pan. Scoop about 1/4 cup of the zucchini mixture onto one side of the pan and shape into a small square. Repeat to form another patty on the other side. Cook until lightly golden on both sides, about 4 minutes per side. Remove from heat to drain on paper towels and repeat with remaining zucchini mixture. Wipe skillet clean. 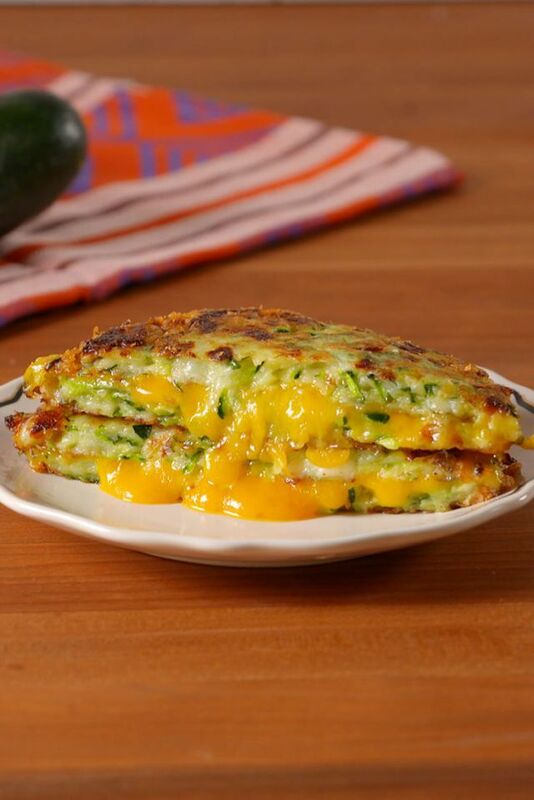 Place two zucchini patties in the same skillet over medium heat. Top both with shredded cheese, then place two more zucchini patties on top to form two sandwiches. Cook until the cheese has melted, about 2 minutes per side.